1 Box Kellogg’s Cereal and 1 Can Pringles Chips or 1 pack of Keebler Cookies. 2. Show your receipt to the Kellogg’s in-store promoter or bring it to BGA, 1 Mill Creek. Prizes may vary in size. Participating products: Kellogg’s Frosted Flakes 24 oz, Corn Pops 19.1 oz, Froot Loops 19.4 oz, Apple Cinnamon Loops 19.4 oz, Pringles 137g or larger, Keebler Chips Deluxe 11.6 oz or larger. Offer valid until July 31st, 2018 and/or while supplies last. The first baby born each week of January 2017 will receive a gift! a Johnson’s Gift Bag for baby and an Aveeno Gift Bag for mom. Win Gr-r-reat! 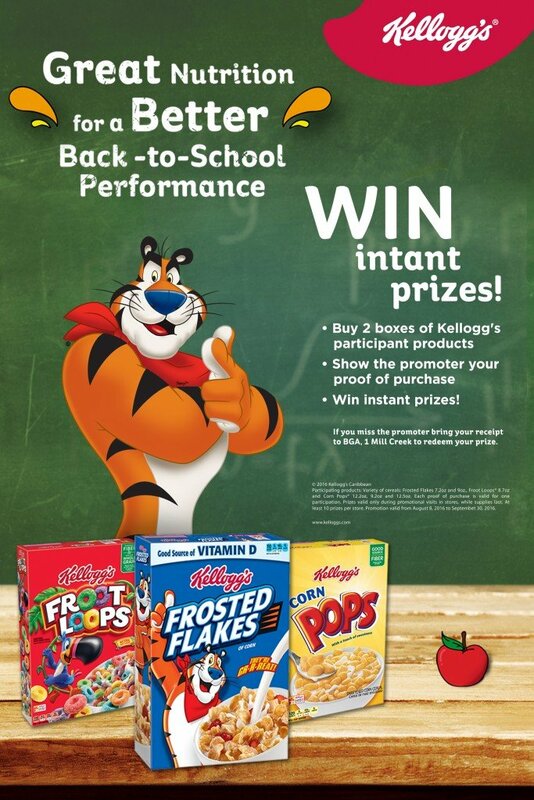 Instant Prizes with Kellogg’s! If you miss the promoter just bring your receipt to BGA, 1 Mill Creek, to redeem your prize. *Participating products: Variety of cereals: Frosted Flakes® 7.2 oz and 9 oz., Froot Loops® 8.7 oz., Corn Pops® 12.2 oz, 9.2 oz, 12.5 oz. Each proof of purchase is valid for one participation. Prizes valid only during promotional visits in stores, while supplies last. At least 10 prizes per store. 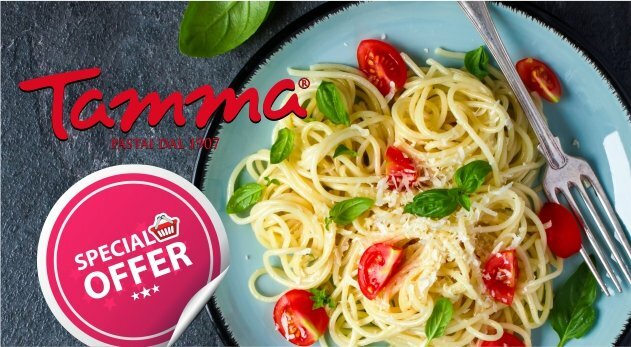 Promotion valid from August 8, 2016 to September 30, 2016. 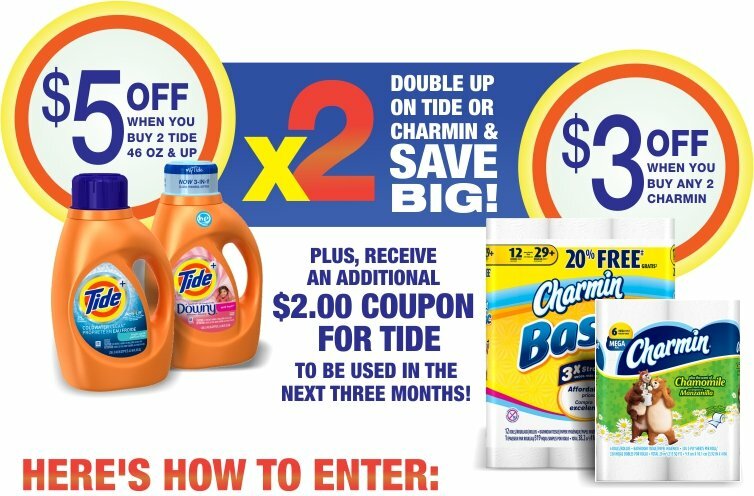 Double up Tide or Charmin & SAVE! 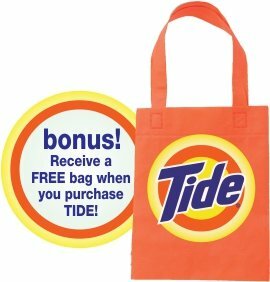 Also, during the promotion, anyone who shops at Lindo’s will automatically receive an additional $2.00 off TIDE coupon on their receipt (to be redeemed within three months). Promotion ends March 31st, 2016, or while supplies last. 1. PURCHASE any 3 (three) PediaSure Shakes. 2. BRING your receipt to BGA, 1 Mill Creek. 3. COLLECT your Back to School Kit*. 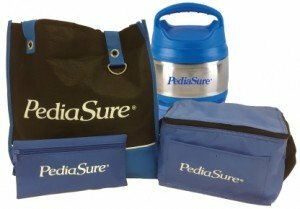 It includes: a tote bag, lunch bag, thermos, fully loaded pencil-case & PediaSure Shakes. Employees of Lindo’s Group of Companies and BGA are not eligible to enter giveaway. Stop just CLEANING. Start HEALTHING. 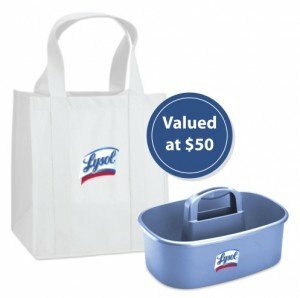 Purchase any TWO (2) Lysol products and receive a FREE Lysol Flu Prevention Kit. Bring your receipt to BGA, 1 Mill Creek. **LYSOL® Spray and LYSOL® Wipes kill 99.9% of bacteria and viruses when used as directed on hard, nonporous surfaces. The folks at Campbell’s have just produced a cookbook filled with delicious, easy to prepare recipes that will inspire you. If you want a copy, just bring in 6 Campbell’s Red & White soup labels or 3 Campbell’s Chunky Soup labels to Butterfield & Vallis, 12 Orange Valley, Devonshire to receive your FREE cookbook. 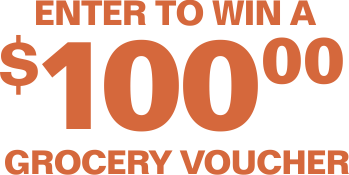 PLUS You’ll be entered in the draw for a chance to win one of FOUR $100 grocery vouchers. Offer on cookbooks is good while supplies last. Entries close for the grocery vouchers on October 25th, 2013. Employees of Butterfield & Vallis and Lindo’s Group of Companies are not eligible to enter. Hurricane season is with us and most of us are considering the list of supplies we’ll need to weather the storm if and when it arrives. Near the top of our list will be batteries for flash lights, radios and the like, and the best choice of alkaline batteries is Duracell, the brand the pro’s use! 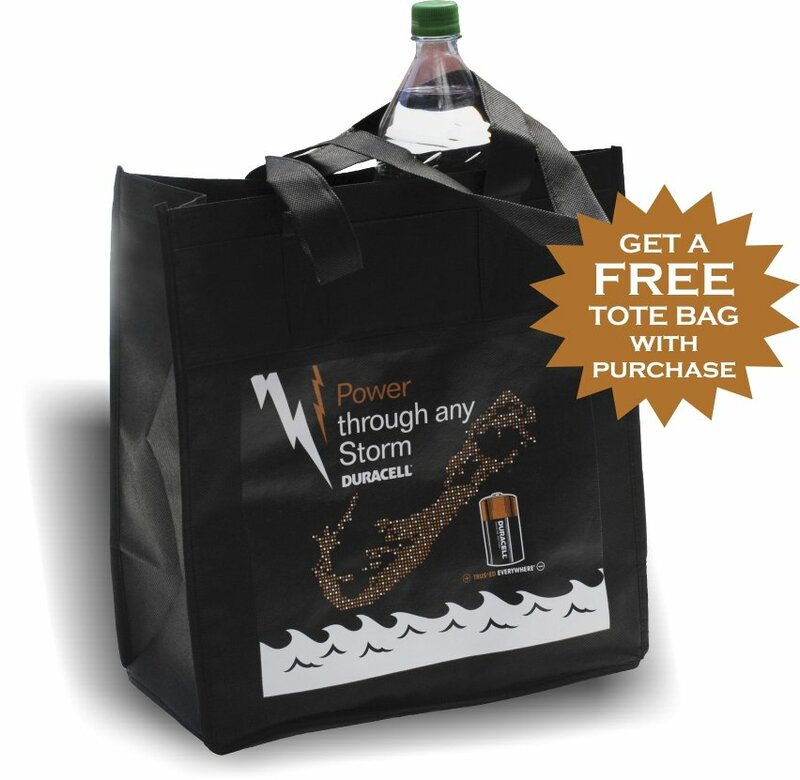 DURACELL BATTERIES – the best choice for hurricane season preparedness. Win a Grocery Voucher with Keebler®! ENTER TO WIN GROCERY VOUCHERS (16 @ $100) with the purchase of any Keebler item! Employees of Lindo’s Group of Companies and BGA are not eligible to participate in contest.